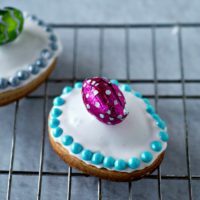 Spring is the perfect time to try new and different recipes, so I welcomed the challenge to find a new holiday cookie from somewhere exotic to make this spring. After searching I found these traditional Maltese Figolli Cookies, which are tasty pastry filled with almond paste. The cookies are made with a buttery, lemon dough that is rolled and cut into spring shapes. Before baking a small amount of almond paste is spread onto a cookie, and an identical shape is placed on top. I used purchased almond paste, but you could make it from scratch. I made the strategic error of making these the day after my daughter returned to college for spring break, and she is much better at decorating cookies than I am! So I tried and failed to pipe designs onto the cookies, and then I gave up and simply flooding the cookies with Royal Icing and added candy. It is traditional to top these Figolli Cookies from Malta with a foil wrapped Easter Egg, so I did that with some of the cookies and decorated the rest with pastel colored M&Ms and Sixlets. I love the combination of the lemon flavored pastry with almonds, and of course the candy on top is an added bonus. To make the dough put the flour and butter in a food processor and pulse until crumbly. Add the sugar and salt and pulse to mix. Add the egg yolk and lemon zest and mix. Add the water, 1 Tablespoon at a time until the dough forms into a ball. Wrap the dough in plastic wrap and chill for an hour. 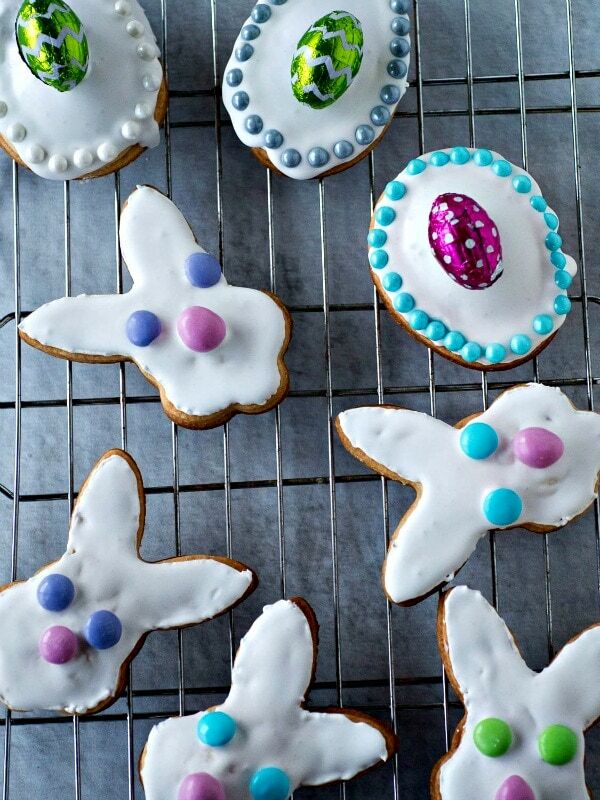 Roll out the dough on a floured surface and cut out Easter shapes. Put a shape on a cookie sheet, then cut some almond paste and place on the dough. Top with another shape. Bake the cookies for 15-20 minutes until lightly brown. When the cookies are cool mix the meringue powder with the powdered sugar and water until it is of spreading consistency. Use candy to decorate the cookies. Inspired by this recipe at malta.com. We all associate cookies with the holidays in December, but spring holidays are a great time for cookies also! Your cookies are adorable! I like the flooding and candy topping. The filling is great too. I like this technique of adding an almond layer to the cookies and look forward to trying it sometime. Your decorations add such a sweet touch too! Love these! They are so pretty. I bet that almond filling is amazing! Super cute cookies …Liked the decoration too ! 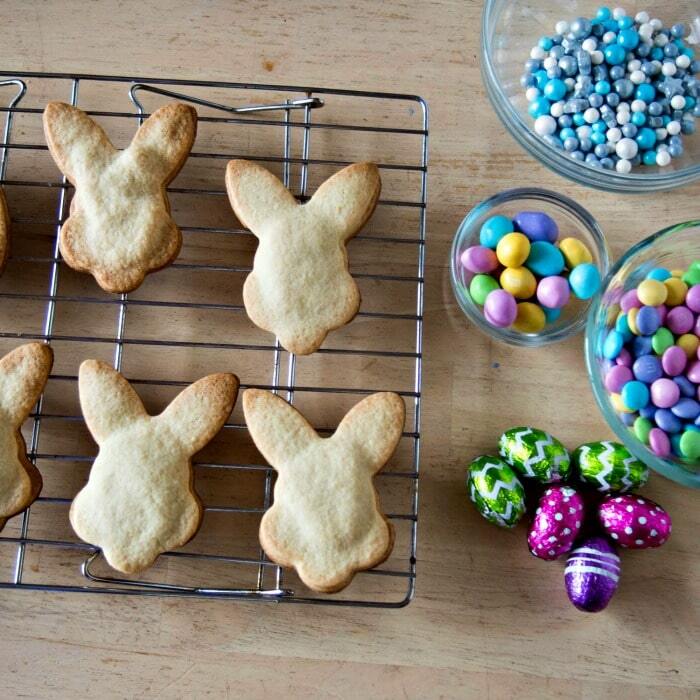 The cookies scream Easter in the best ways possible! I can totally relate. My icing skills are clearly lacking and I usually resort to sprinkles! Your cookies look pretty good Anne. A+ for effort, and the flavor sounds amazing. Love the ones with the foil wrapped eggs on top, they are so pretty! What cute cookies! They’re so different and love the combination of lemon and almond flavors. Of course, almond paste in anything puts it in the “I’ve got to have it” category. 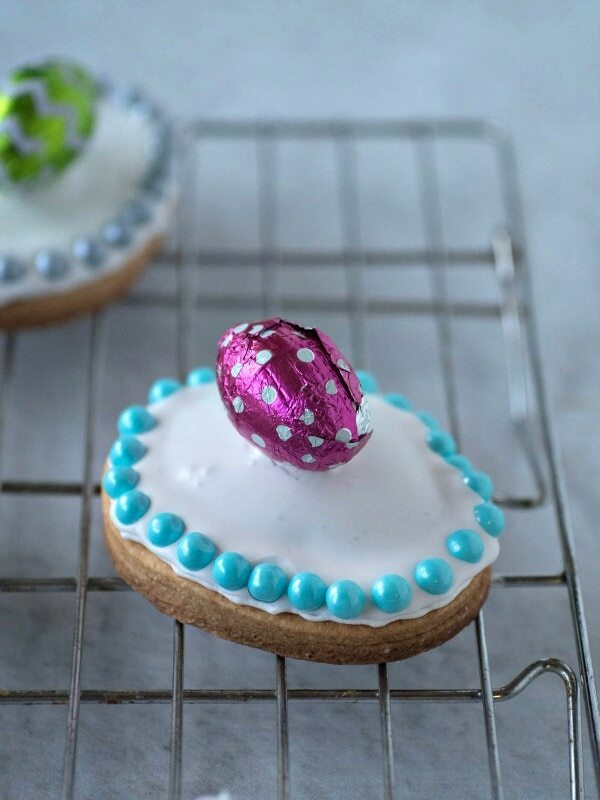 It’s the perfect cookie for Easter! These look so pretty and make a great way for using all the Easter candy that’s available. They look so adorable! I just love the way you decorated them!